Skye Gravestones | Charles & Kate (Macleod) Matheson, Nora & Murdo. Charles & Kate (Macleod) Matheson, Nora & Murdo. 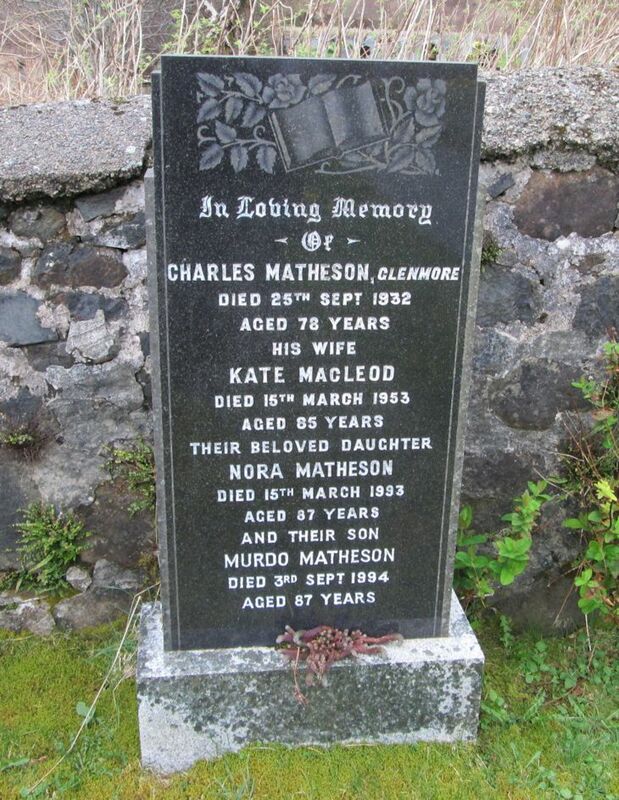 In loving memory/of/CHARLES MATHESON, Glenmore/died 25th Sept. 1932/aged 78 years/his wife/KATE MACLEOD/died 15th March 1953/aged 85 years/their beloved daughter/NORA MATHESON/died 15th March 1993/aged 87 years/and their son/MURDO MATHESON/died 3rd Sept. 1994/aged 87 years..